The Church Times this week reviews my book, Backpacking through the Anglican Communion: A Search for Unity. Thank God, then, for a priest such as Jesse Zink, who transparently understands this, and who can communicate William Blake’s “minute particulars” with an eye to their global significance, and with love and intelligence. Backpacking through the Anglican Communion: A search for unity is a marvellous book, at turns prayerful, thoughtful, challenging, and moving. Above all, it glows with a luminosity that gives its readers space for real engagement with the material before them. Zink wants us to embrace the truth that unity is mission. It is an argument that he advances in the best traditions of Anglican apologetic, with beauty, clarity, and insight. His book is a must-read for those who truly believe that belonging to the worldwide body of Christ – where there is difference, and should be charity and love – is what discipleship means. Read the whole review online. 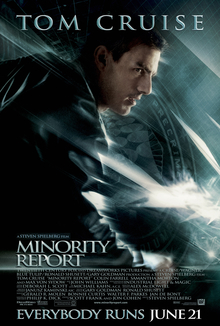 Some years ago, Tom Cruise starred in a movie called Minority Report. The plot revolves around three human “pre-cogs” who can tell when a murder is about to happen. Cruise and company swoop in, arrest the murderer before he or she can commit his crime, and save the day. Things begin to unravel when—to give away the ending—it turns out that three pre-cogs are not always in unanimous agreement but that the dissenting, minority reports are suppressed. The phrase “minority report” has been stuck in my head lately—but in the context of the church in 2013, not Tom Cruise in 2054. A clear majority of Anglicans are female—yet three weeks worth of reporting in The Church Times about the GAFCON II conference in Nairobi quoted precisely one woman and allotted her one word: an unnamed Ugandan priest was to said have voted “No” on the final communique. This is not to pick on either GAFCON or The Church Times. The four Anglican Instruments of Communion—the Archbishop of Canterbury, the Primates Meetings, the Lambeth Conference, and the Anglican Consultative Council—are all dominated by men. (In part, this is because they are dominated by bishops, who tend to be male.) The people who are the primary drivers about debates about global Anglican futures tend to be male as well. Anglicans have been led to believe that there are two sides in debates about our future: the liberals and the conservatives, each presenting unified and diametrically opposing views. But just as Cruise et al. had to learn that the unanimity of their pre-cogs was not what it seemed, so too Anglicans have to learn that we are dealing with more diversity than we may have imagined. Part of the purpose of my writing a book about the Anglican Communion that tries to move beyond bishops and describe life at the grassroots level in different parts of the world was to demonstrate that the loudest voices in the Communion are rarely the most representative—no matter how strenuously they claim they are. All of this is to say something obvious: the church has a long way to go before we start reflecting the reality of the body of Christ in which we are joined. This is not to say that the wounds of the Anglican Communion would be healed if we put women in charge. As I show in Backpacking through the Anglican Communion, my experience does not show that women somehow believe in unity and reconciliation in a way that men do not. But it is to say that the model of communion that has been put forth in the last several years has been one that has privileged a handful of voices and disregarded (suppressed?) a huge number of others. So when we read reports foretelling the death of the Anglican Communion that are authored solely by men, we should label those minority reports—for that is precisely what they are. Fifty years ago this week, Anglicans from all over the world gathered in Toronto for the second post-war Anglican Congress. The meeting was fruitful in a whole variety of ways, but what it is especially remembered for is “Mutual Responsibility and Interdependence in the Body of Christ,” a manifesto that set forth a new way of being the worldwide body of Christ. In its emphasis on the patient work of building genuine relationships across lines of difference, the importance of genuinely coming to know one another in the context in which each lives, and above all in its recognition that God is always calling us to something greater than ourselves, MRI has much to teach us. It is risky to reach out to those who are different from us, and daring to ask what we might learn from someone from a different background. But it is precisely these things that are at the heart of what it means to be God’s people in the world – a fact that is no less true today than it was in August 1963. By chance, the anniversary coincides with the news that Bishop James Tengatenga’s appointment at Dartmouth University has been rescinded. I have nothing to add to this depressing piece of news that has not been said elsewhere—particularly by Bishop Michael Ingham—except to note that the controversy over the appointment sadly demonstrates the point I was trying to make: it truly is challenging to reach out and encounter those who are genuinely different than us and see what it is we can give and receive from them. The Church Times article on MRI is the first of two I’ve written about the anniversary. Look for a separate article coming soon in The Living Church. And if you never have, why not take the time to read the text of MRI?